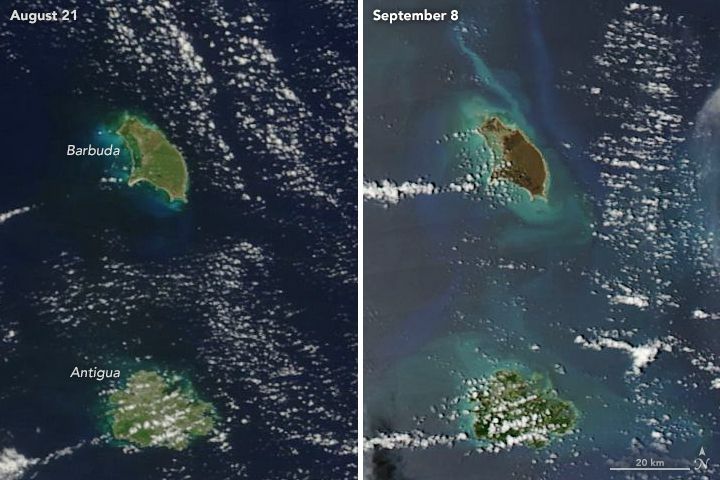 Why did the islands turn brown? It’s possible that the hurricane’s winds snatched and tore at the islands’ plant life, leaving the bare ground more exposed to the satellite’s camera, Kathryn Hansen writes for NASA’s Earth Observatory. Salt spray kicked up by the storm might have also dried out leaves still on the branch, turning them brown. 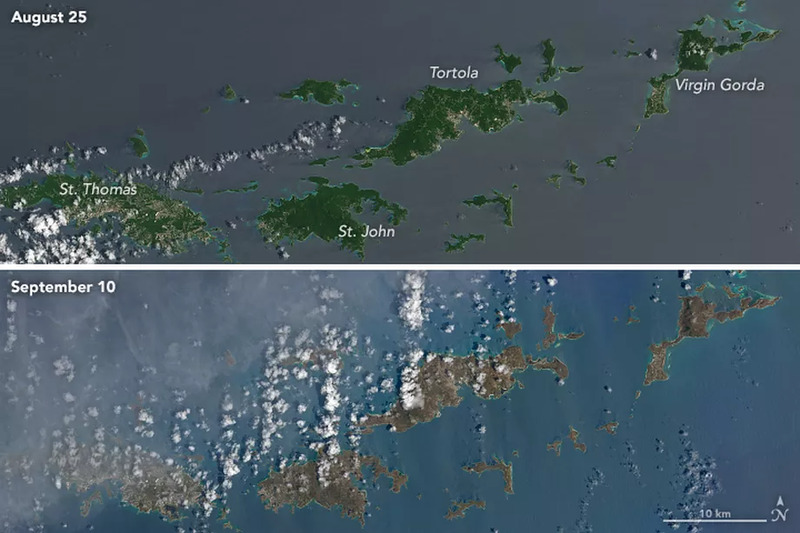 The island Virgin Gorda before (left) and after (right) Hurricane Irma. The island Virgin Gorda, above, was snapped by the Landsat 8 satellite, which was developed by NASA and the US Geological Survey. The color of the ocean looks brighter and bluer after the storm, possibly because the choppy waters are better at scattering light, Hansen writes. Barbuda (the top island) was hit by the full force of Hurricane Irma, which at the time was still a Category 5 hurricane. 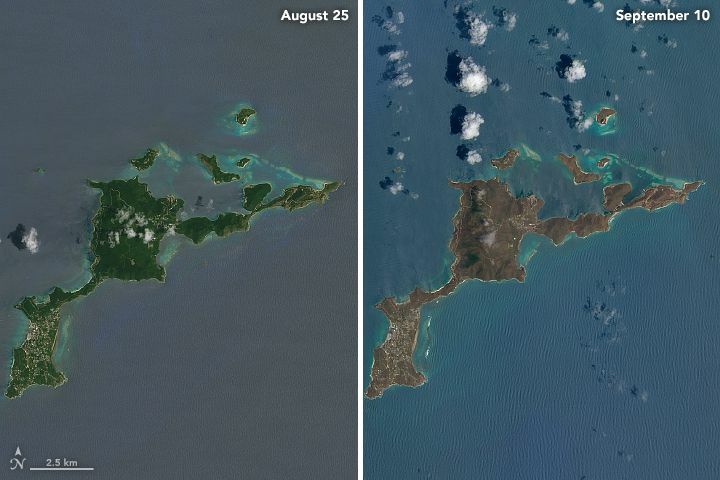 The small, 68-square-mile island of Barbuda, above, was hit especially hard by the Category 5 hurricane. Gaston Browne, prime minister of Antigua and Barbuda, called the destruction “heart-wrenching.” About 95 percent of the structures on the island have been damaged, Time reports. The road to recovery will be difficult — that’s obvious, even from space.